Only the community can decide that. Again, depends on the community. The game engine can only do so much - the graphics also depend on what you put into the game (in the way of assets).This requires good content authors to be motivated to spend the time to make content for LOTUS. They will only be motivated to do so if there is the demand for it. Personally I dont think that everything said for release will be implemented . At the moment im not exited. With all of the data loss im getting on Windows im gonna switch to mac and I hope if it gets released it will be compatible. Well, if you still want to play OMSI 2 you can't switch to macOS, as you can only play OMSI 2 on Windows. I've tried loads of times with Porting Kit (Wine) and to no avail. But if you don't want to play OMSI 2 anymore, then macOS's great! I'm going to stay away from this game until they add the buses. I hope for more input from the developers for addon content than solely relying on the community, as with OMSI they pretty much left us to it and I wont say anymore than that but its given too many people status over others. With DTG and SCS they still actively take part in their own franchise, the former gets more punches than the latter but at least with developer input you feel like there's still a go to for anything that may bug out or what not. 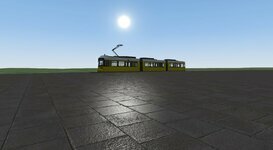 Early Access - LOTUS-Simulator: München Tram - LOTUS-Simulator The Munich Tram has been announced. What I still can't wrap my head around is people buying and playing a game which isn't finished. From the looks of threads on the forums, there's a lot wrong with it at present. Same Modul error bugs as OMSI 2, same Memory address issues. I mean really? I've not had any of these errors playing TSW or Fernbus. 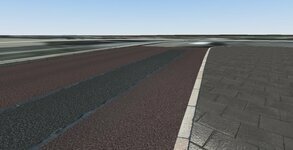 UE4 may not be OMSI quality in terms of physics (yet to fully see, Simugraph not counted, small things in Fernbus such as cars going over humps properly) modding (yet to be fully seen) but it works without these old school bugs such as Memory issues? The editor for TSW coming can run the game within the editor to test the creations - I'm not knocking LOTUS but i've personally had my fill of these Access Violation errors from old game engines. It is cool and all, but it's basically just a blue reskin of the already existing yellow tram, tbh. Although the shaders and lighting of LOTUS looks much more realistic, right now I find OMSI 2 much prettier. Right now, LOTUS just looks... bland. Lifeless. It looks lifeless because its in Alpha! 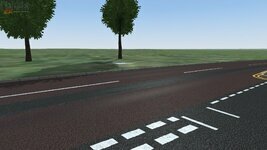 It will still have all the features of OMSI, just done a lot better! Here is a building I made with normal and ambient occlusion map, look at the way it interacts with light. And on this pavement for example.